AN up-and-coming chef is facing his toughest critics yet – guests at Scotland’s “foodie” equivalent of The Oscars. Tom Beauchamp, 35, will head a 120-strong team providing catering for the Scotland Food & drink Excellence awards. The specially-designed menu is a closely guarded secret but sources have revealed it will include Scottish ingredients and “surprising” flavour combinations. Mr Beauchamp is a rising star on Scotland’s culinary circuit, having worked with double Michelin-star chef Raymond Blanc and also Andrew Fairlie at his renowned Gleneagles restaurant. An economics graduate from Stirling University, he now heads the development kitchen at Sodexo Prestige, which provides luxury catering for some of Scotland’s biggest venues. 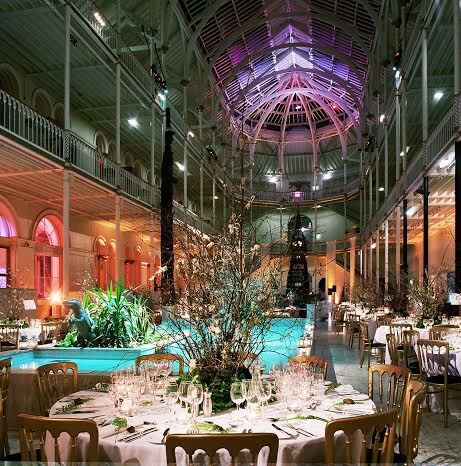 The awards, to be held tomorrow, will take place amid stunning surroundings at the National Museum of Scotland. Mr Beauchamp’s team will provide catering to over 800 discerning guests. The three-course menu is being kept secret but sources said it will feature a traditional seafood starter with a modern “twist” in addition to Scottish-sourced produce. It has taken months culmination of careful planning, which started when the contract was awarded to Sodexo Prestige in August 2014. The awards are one of the highlights of Scotland’s Year of Food and Drink and will see 800 specially invited guests gather see accolades handed out in 19 categories. Sandy Robson, account director with Sodexo Prestige’s Heritage and Events Business, said: “It’s a huge challenge for sure, not least the sheer numbers involved and the scrutiny that comes when serving the great and the good in the food sector. “But we’re well versed in these kinds of events and we are actually looking forward to this as a tremendous opportunity to show exactly what we can deliver. “We’re not nervous, just keen to get out there and show that all of our long months of planning ensures everything goes exactly as we want it to. He added: “Timing is everything. Even slight delays can be hugely magnified in event of this scale, so Tom’s done a great job taking that into account. “When it comes to the starter, we expect people to read the menu and immediately wonder if the flavours can possibly work together – but they most definitely do. “Likewise the dessert is a really interesting dish which will have people asking questions. Those will be answered as soon as it is set down on front of them. “We’re very excited about this menu. Tom is a chef with a Michelin background, which is very different from contract catering. Sodexo Prestige provides catering and hospitality at some of Scotland’s most high-profile venues, including Royal Botanic Garden Edinburgh, the national stadium at Hampden Park, and Perth Racecourse.